Super Falcons train in Meizhou Wuhua ahead of China clash – Royal Times of Nigeria. Reigning African Women’s Nations Cup Champions, the Super Falcons of Nigeria On Wednesday took to the Wu Hua Olympic Sports Centre of the Huitang Stadium for their first training session since arriving in China. The Super Falcons will tackle China’s women national team, nicknamed Steel Roses, in their opening game of the Four –Nation China Tournament on Thursday evening. 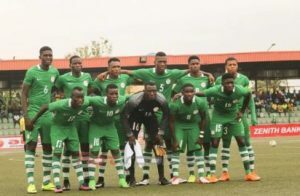 The winner of Thursday’s encounter will clash with the winner of the game between Korea Republic and Romania in Sunday’s final slated to kick off at 12.35pm Nigerian time. 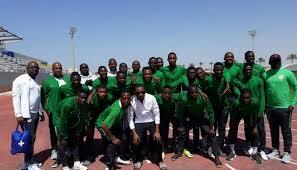 The losers play the third-place match starting from 8am Nigerian time also on Sunday, and at the same Huitang Stadium. Nigeria’s Super Falcons are one of the seven teams to have qualified for every edition of the FIFA Women’s World Cup finals since the competition was launched in China in 1991. The others are the women national teams of USA, Brazil, Germany, Sweden, Norway and Japan.